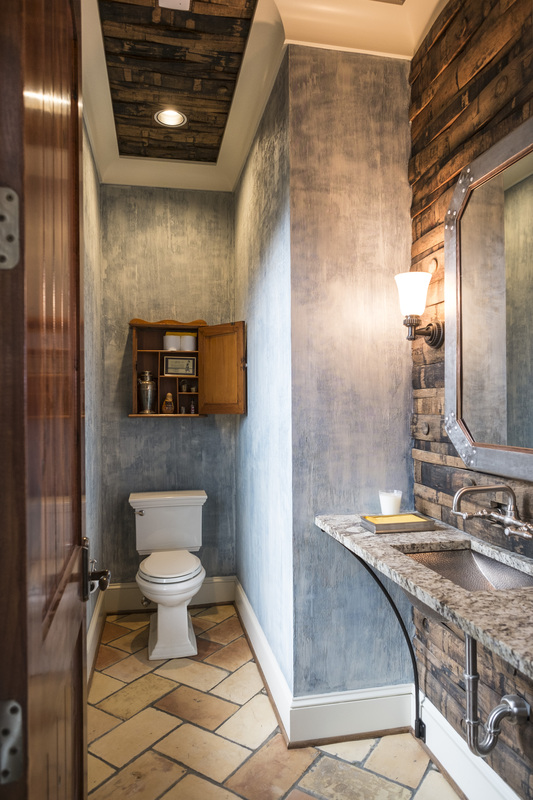 The Hunter Residence powder room is just one place that reflects the owner’s Kentucky heritage. Note that the wall behind the sink and the ceiling are made from whiskey barrel staves. Be sure to go to our Flickr page to see more pictures of this unique home. We challenge you to find hidden reflections of the owner in the masonry work.